January 22, 2019 | -by: Kevin George. Email subject line can be compared to the headline of a daily newspaper or magazine article. Whether someone reads the complete article or ignores it usually relies on how enticing the headline is. Same applies to subject lines. The more engaging your subject line is, the better is your email open rate. 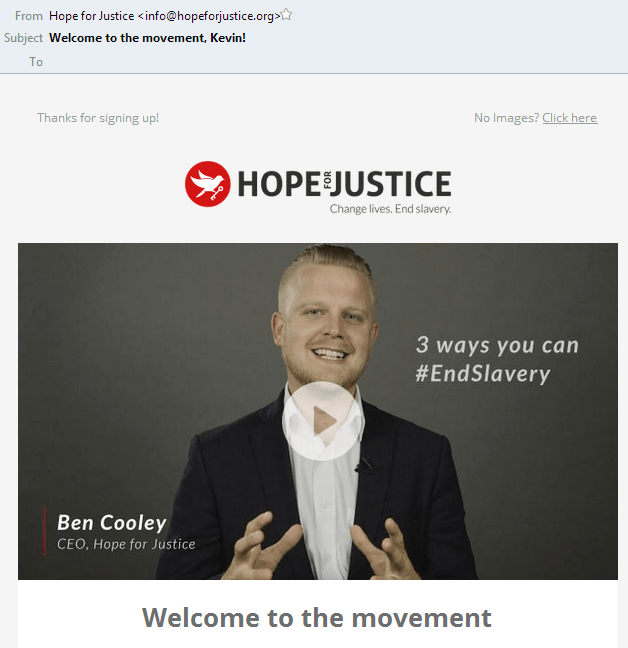 The basic recipe for a good subject line is that it should be direct, self-explanatory, and relevant for the recipient. With the number of emails expected to reach the figure of more than 333 billion by 2022, your subscriber’s inbox will get even more crowded than ever. Therefore, your subject line will have to be interesting enough to get the email opened. If your email remains unopened, you will lose the opportunity to motivate readers to follow your call to action or of achieving email conversion goals. I still remember how bland the email subject lines sent by my fitness gym 2 years back used to be. But, today, they send me more specific and clear subject lines that make me look forward to their emails. Subject line (2016) – Fitness Tips from Health Gym! The first subject line looks generic and talks about the business. On the contrary, the second subject line looks more promising for the target audience. The word ‘Proven’ makes the subject line even more impactful by instilling a sense of trust in the reader. It also uses the second person narrative that communicates a clear benefit of ‘losing weight’. Naturally, the subscriber would get tempted to open the email. That said, let’s understand the subject line trends to look forward to, in 2019. Which emails catch your attention first? Majority of the people would agree that the subject lines with colorful and emotive emojis are more appealing rather than the text-based ones. Adding emojis in email subject lines brings 56% higher open rate, when compared to plain subject lines. Everyone, including the millennials love emojis. Therefore, 2019 will see more subject lines with emojis. Personalizing the subject lines by using the first name has been in trend since a couple of years. However, the upcoming trend will be to humanize the email subject line beyond the subscriber’s name. ASICS sent me an email with the subject line as depicted below, in accordance to my search for the same product on their web store. That’s the perfect way of humanizing the email subject lines according to the prospect’s interest. There was a time when human instinct was used to craft subject lines. Most of the time, it was a result of afterthoughts once the email copy was finalized. With the changing times, the principles of artificial intelligence are being incorporated in email subject lines. Phrasee is one such company that has developed a Natural Language Generation system, which helps email marketers to generate human-sounding brand-compliant subject lines at the touch of a button. Artificial intelligence works better than gut instinct as it delivers results according to data-driven insights. 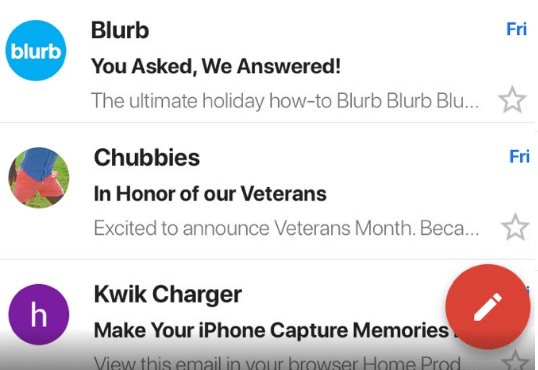 Chubbies combines the from name of the email and the subject line in such a way that it makes a sensible statement. Here ‘you hang up first’ was sent as the from name while ‘we bribed the post office’ was the email subject line. Isn’t it a great idea to arouse the subscribers’ curiosity and make them open the email? Pro-tip: Think creative but make sure that you put clarity over creativity. Do not get over the top in the quest of being innovative. 1. Keep the email subject line short and sweet. Short and sweet subject lines will continue to trend through 2019 owing to the increasing popularity of small screen devices. Understand what will interest your audience and convey it in a distinct way that does not sound cliched. Subject lines with less than 30 characters have higher open rates. Have a precise and clear message in the subject line that will let your email stand out in the crowded inbox. Pro-tip: Use promotional words like free or discount once in a while in your subject lines and do not make it look like a promotional phrase. It is a general notion that mobile users are running short of time. Consequently, it becomes imperative to apply the principle of 2-2-2. First 2- The first two seconds determine whether your email will be opened. Make sure your email subject line is interesting to catch the subscriber’s eyeballs. Second 2- The first two words of your subject line should convey the most important message as the subscriber will see these words at first. Third 2- This refers to today. It lets the subscriber know how important the email is for that particular day and why should they instantly open it. Create a sense of urgency and make sure there is no unnecessary information. Write subject lines that they just cannot deny to open. Rather than asking a question in the email copy, use the subject line to ask relevant questions that will prompt the recipient to open the email and look for answers. It will help to create an instant dialogue with the readers. Pro-tip: Open-ended questions work better so that the reader cannot answer them with a quick ‘yes’ or ‘no’. Try to sell the benefit or feature through the subject line. This will capture the reader’s inquisitive nature and convince them to open the email. It will especially help B2B companies to enhance their email marketing metrics and build a better strategy to win more conversions. Freaking out on missing an exciting offer is an established human instinct. Email subject lines that threaten scarcity perform quite well as they tap on the ‘Fear of Missing Out’. Email marketers from the ecommerce industry can use this to promote their limited time offers and get more opens. Incorporate these trends in your email subject lines and you will surely see an observable change in your email open rates. If you have any more novel ideas, do share them in the comments below. We would love to hear from you.